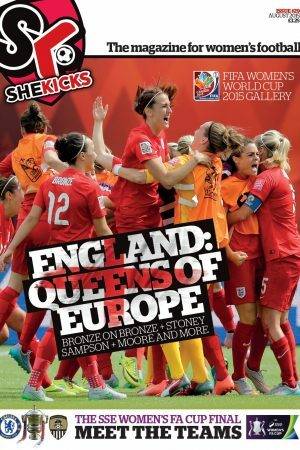 At 68 pages of full colour loveliness, Issue 37 is another celebration of women’s football. It sees the launch of our new ‘Position by Position’ guide, starting with Man City & England no.1 Karen Bardsley talking us through what her main roles and responsibilities are as a golkeeper. 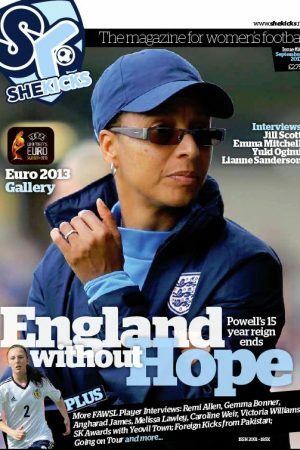 It also includes interviews with Notts County’s Jade Moore and Jo Potter; we speak with Reading defender Molly Bartrip and UEFA Top Gun Ada Hegerberg of Lyon and Norway, as well as England U19 & Chelsea forward Alessia Russo. 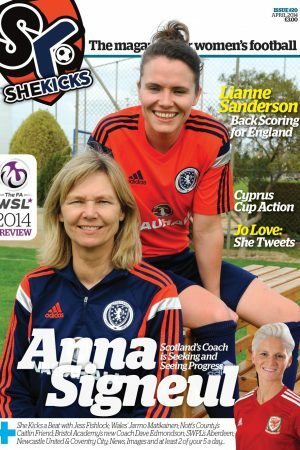 There’s a great chat with Yeovil’s Atlanta Primus, there’s Rio 2016 reaction,Toni Duggan, Christie Murray and Glasgow City’s Erin Cuthbert in our Scottish section. Learn about the recovery from illness of former Rep. of Ireland U19 captain Chloe Mustaki, there’s pieces on Swindon Town & Guiseley and Richmond Park FC, plus captain’s chat with Birmingham’s Emily Westwood & Kerys Harrop, match prep with Gemma Davison, plus interviews with Portland’s coach Mark Parsons and midfielder Lindsey Horan. Did we mention the Danielle van de Donk or Eni Aluko posters? And more. Order your copy today for only £3.25 plus postage. Email: shop@shekicks.net if you have ANY queries.